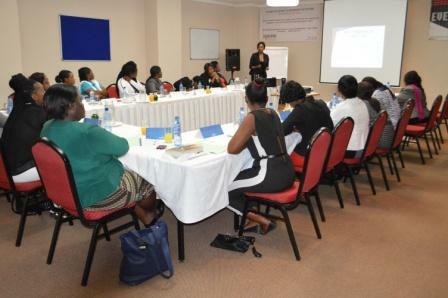 Sport In Action one of Zambi’s pioneering sport for development organisations launched their ‘Girls in Action’ Program on 31st of May, 2015 at the National Sports Council of Zambia. The project is aiming at educating and empowering girls through sports. The launch event consisted of three parts; Marching, Life skills training and friendly football and netball tournaments. NOWSPAR participated in this event to support SIA who are a fellow member of the International Kicking AIDS Out Network and the Sport for Social Change Network. There were about 5-6 school girls participating the event from NOWSPAR, Four NOWSPAR girls, Ms. Esinat Chisenga and Ms. Cathrine Temba from Miracle Disable Group in George Compound and Ms. Elizabeth Gondwe and Ms. Ruth Mbewe from Handball Association and two NOWSPAR staff Ms. Aya Noguchi and Ms. Petronellah Maketo also participated in the event. Marching was started at 9:00 hours at the Total Gas Station in Kalingalinga and we walked all the way up to National Sports Council. After we arrived at the NASDEC, the opening ceremony was taken p lace. After the opening ceremony, the Girls in Action program was officially lunched. During the event, some ice breaking activities and Life-skills session focusing on Peer Pressure were taken place. 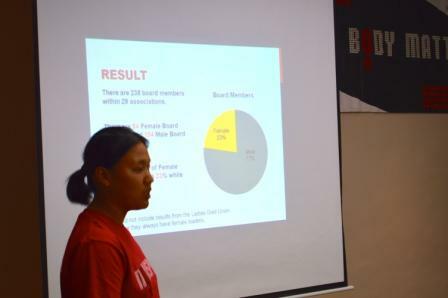 Ms. Cathrine Temba actively contributed the discussion session and explained about her experience of peer pressure. Since Ms. Cathrine Temba and Ms. Esinat Chisenga are football players in their community team, they participated in the football friendly tournament with other participants. There are about 40 players playing the football tournament. Sports in Action staff made four teams with mixed people and each team had opportunity to play four games. The event finished around 13:00 hours. 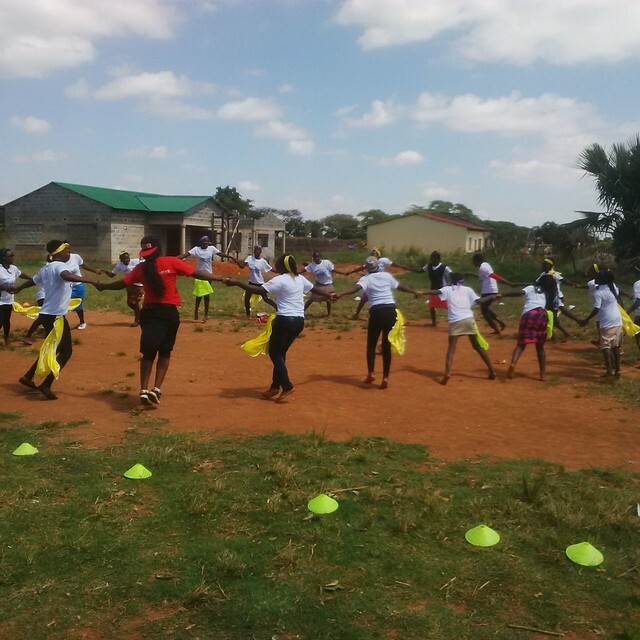 Girls enjoyed sports activities and learned important information for their life skills. A big congratulations to Sport in Action for their work providing more opportunities for girls to be physically active. Read more about their work here. 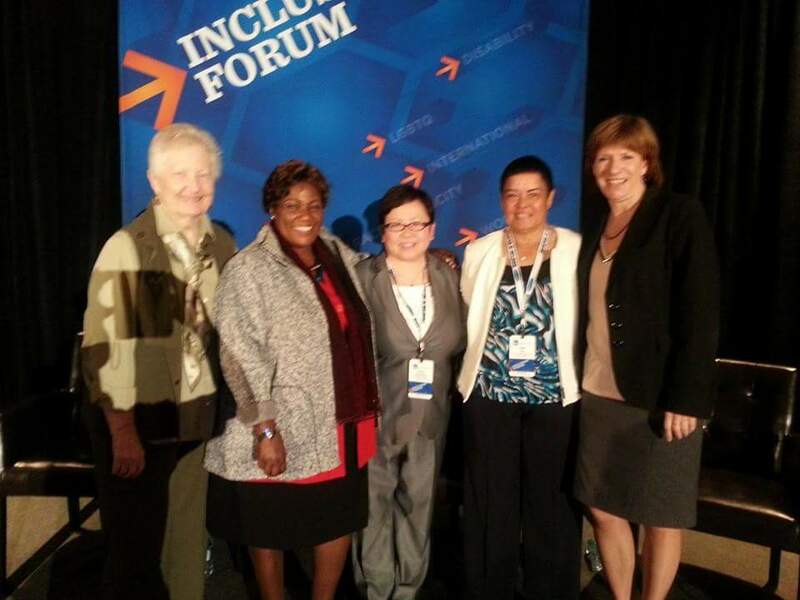 The NCAA Inclusion Forum in La Jolla California, took place on 24th – 26th April, our Executive Director Ms. Matilda Mwaba who is Africa Representative to the IWG was presenting on NOWSPAR’s work. She presented as part of the IWG Panel at the Forum, the Theme of the Panel was ‘Girls and Women’s Sports Progress: Around the World in 75 minutes’. Panelists included Carole Oglesby, IWG Co-Chair, Etsuko Ogasawara, Japanese Association for Women in Sport, Kristina Thuree European Women in Sport and Susan Yee, Women and Sport Fiji. A Localised Goal Event was held on the 21 April 2015 at Kalingalinga St Francis parish with 50 participants girls between the ages 12 to 20. The girls gained information on health, rights, mapping resources through the games Hygiene Tag, My Rights and My Community. The girls asked questions on how to take care of their bodies, how many times they should bath as girls and also how to take care of themselves during their menstrual periods. The girls also played 2 games from be money savvy; going to the bank and Zig zag saving. The girls were very excited about learning about the bank. The participants were also interviewed by Muvi Television Presenter Siphiwe Mpanza who asked the girls what they learnt from the event and how they will use the knowledge they got from the event.